SAI INTERIORS is the leading service providers of Elevators/Lifts,MS./ Cast Iron Products,Modular Kitchens,Steel & Glass / Mirror Works,Window-Venetian Blinds/Rollers,Outdoor Decking/Cladding,Engineered Hardwood Floors,Wooden Laminate Flooring,Vinyl Floors,Wall Paper-Vinyl Based,Landscaping,Pop/Paint&Polish,Design Studio,Stone & Mrbl / Grnt & Tiles and many more. We would like to take this opportunity to introduce ourselves and we sincerely hope you would like our exhaustive products range of INDOOR & OUTDOOR interior works.To innovate and create is what the company offers its clients with fast and speedy construction and hassle free work with lasting durability.Our firm belief is "TO CREATE AND DELIEVER THE MIRROR IMAGE OF YOUR VISUALISATION / CONCEPT". Presently, We have a huge list of clientele proving worthiness of performance over the years. With Our team of highly experienced & qualified trained people who work to accomplish any big task perfectly.We comply with mantra that is: "Give your max to attain client's utmost satisfaction!" , We believe in creating long-term relationships with our clients, and hence cater to their diverse needs & requirements and most importantly we welcome your suggestion, feedbacks and promise to input your minutest specifications into our services. We would like to once again take this opportunity to introduce ourselves as "TURNKEY- CONTRACT" Company based at Saket, Delhi.We are highly reckoned for landscape architecture services, house design services and many other interior & exterior designing services. Our architecture services are operated by the best designers of the business. 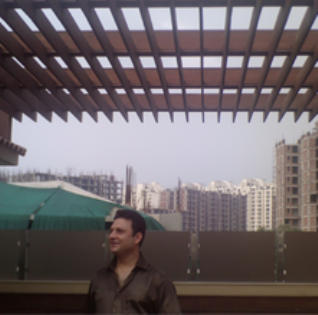 Our magnificent work in architecture and designing field has been highly appreciated by all our esteemed customers. Having adequate well experienced professionals for the different assignments to meet the timely scheduled projects assigned to the Company, resulting the assignments / works into QUALITY & COST EFFECTIVE WORKS.We sincerely believe that your recommendations will always play a huge and important part in our growth and success.